When we got the Enermax Pandora in to the office, we have to admit that we weren't expecting much. Priced at just shy of £40, we suspected it would be the cheapest of the cheap, a case that would have all the build quality and features of a dead toad, rotting in the centre of the road. We wouldn't have been surprised if it smelled like a dead toad either. Imagine our surprise then when we got our hands on it and discovered that it actually had a fair bit to offer and held up quite well to our scrutiny. Blow us down if it wasn't the little case that could. Any PC user will be able to affirm the fact that sometimes it's the simplest things that are the hardest to do. One thing we've always found deceptively difficult is the struggle to get a PC case out of a box. Each bit-tech writer has his own method of doing it. Personally, I've always leant towards just trying to rip holes in the cardboard and grip the sides of the slippery, plastic bag covered, metal case with my fingertips whilst also holding the box flat on the ground with my feet and hoisting the case straight up and out of the box. One big pull and a hernia operation later, I've usually got the case on my desk and am in fit enough condition to start the review. 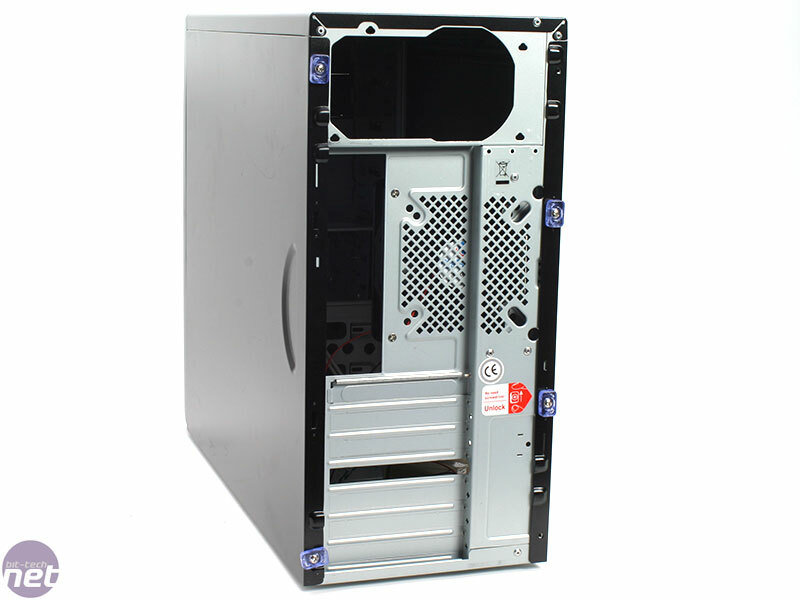 Thankfully, lifting the Pandora out of the box proved to be easy as the chassis is both light and relatively small. It was so light in fact that even we muscularly under-developed office dwellers were able to heft it up one handed and give some exercise to our guns. Taking a tour of the exterior we had a mixture of complex reactions. On the positive side, the case is kept simple enough that it may invite modders to whip out their Dremels and airbrushes and have a go at sprucing it up. 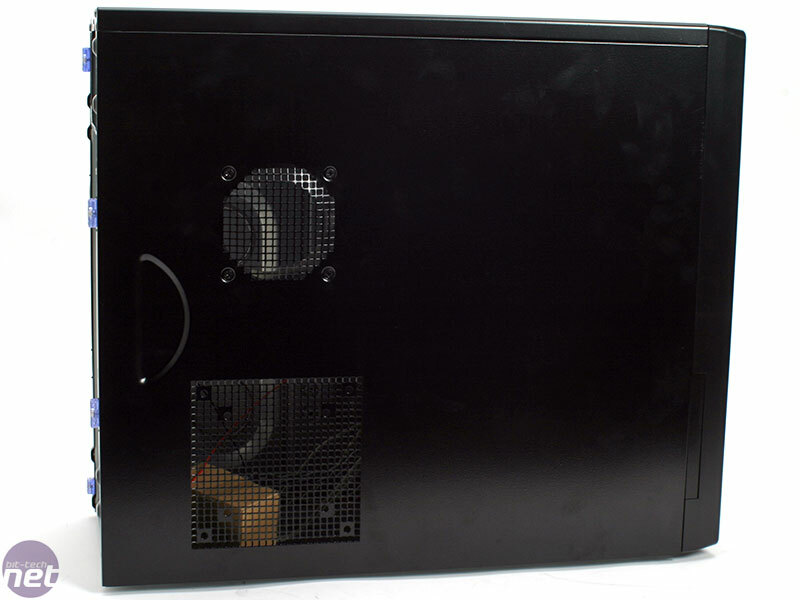 The all black surface is punctuated only by two palm sized grilles on the removable left panel and the simple silver details set in to the front of the case. 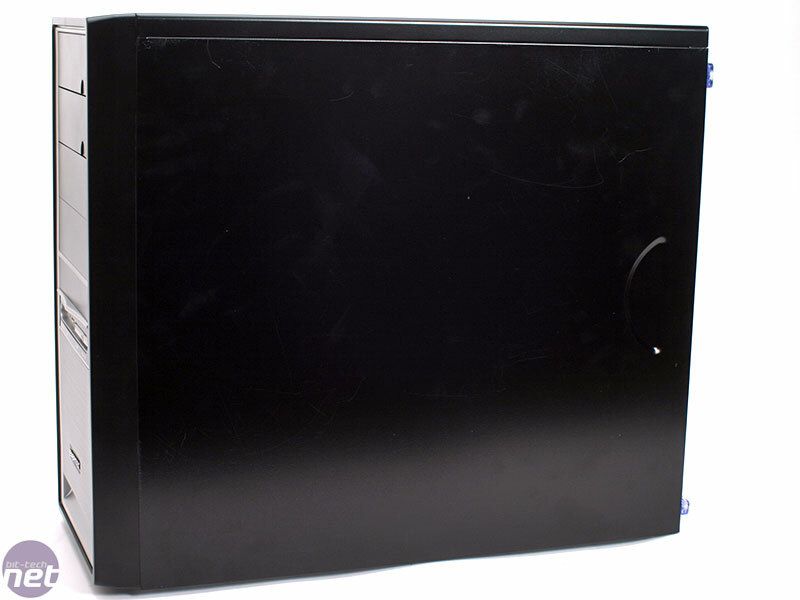 The front of the case is kept very simple, with two USB ports, a headphone and microphone port and the on/off button all centrally located in a line across the front panel. There's a silver grille below these that sports an Enermax logo. 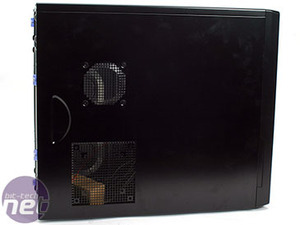 This grille covers a fan, which in turn sits in front of the hard disk cage. The drive covers are spring-loaded too so that pressing a hidden button on the front of the case will open the optical drive beneath, forcing the cover to open as it does so. The springs then close the drive cover as the drive itself closes – simple but effective. 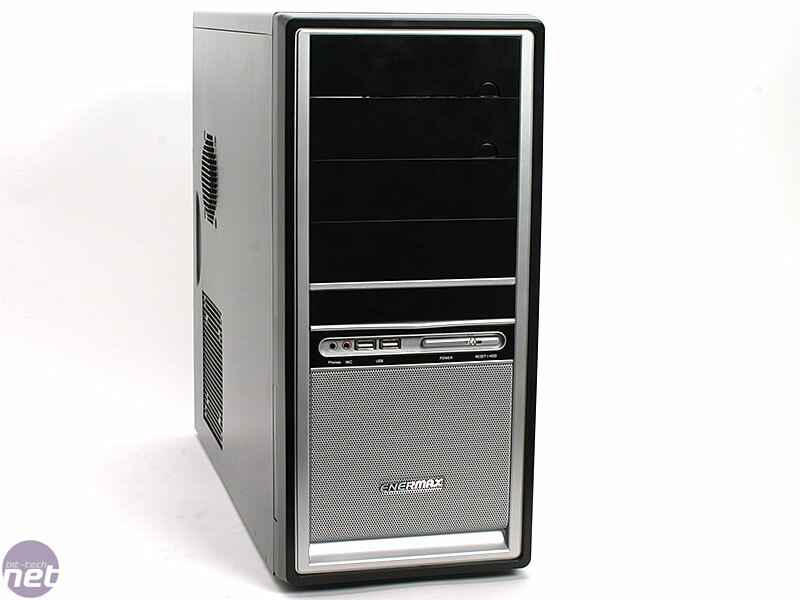 Some modders will already be thinking how this case sounds ideal for their projects, and they'd be right. 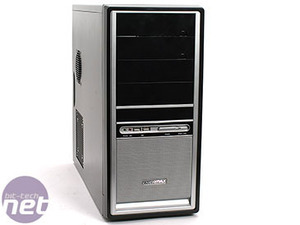 Simple and undecorated, the sides of the case aren't decked out with branding and stickers and even the tiny sticker on the front grille can be quickly removed with a penknife, if one was so inclined. UPDATED: By 2009 Enermax will shut up shop in the UK and will move its distribution hub back to Germany.